Liverpool no longer compete for established, top players. The last elite player we signed was Fernando Torres – and that was in 2007. Luis Suarez was mind-bogglingly brilliant, but he was playing in the Dutch league and had a damaged reputation from biting. Every summer, we watch our rivals buy readymade talent and expect to compete by signing potentially top players and hoping they do the business straight away. When Alberto Moreno, Lazar Markovic and Emre Can signed in 2014 for a combined fee of over £40m, we were told the club had secured ourselves at left-back, holding-midfield and the wing – but three years later and all could depart this summer – likely for less than what we spent on them. The policy of buying young and benefitting from rewards later doesn’t work when fans demand instant gratification. Gone are the days a top club could have three years of developing a team before challenging in the fourth. Manchester United, City and Chelsea have learnt that. But perhaps FSG, who’ve seen us win one League Cup in their time at the club, will learn their lessons this summer. Although in Jurgen Klopp, they have a manager who doesn’t believe the transfer mantra is sacrosanct. That being said, they need to back him and go all out to buy who he requests – regardless of price. 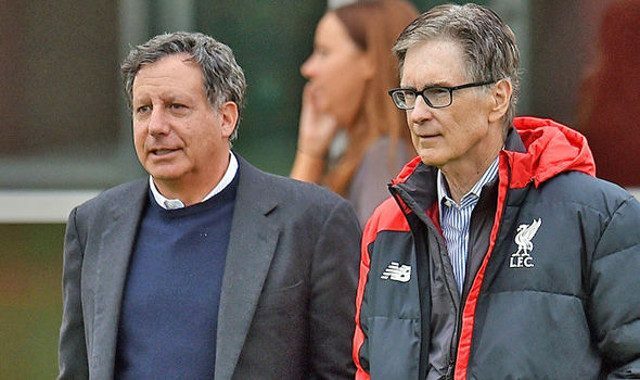 “Senior FSG officials are on social media so of course they see the criticism and the dissent aimed in their direction by a section of the club’s fans,” James Pearce told the Echo’s Q&A session today. “The fact that Liverpool have only won one League Cup and had one top four finish during their tenure so far is rightly a source of great frustration.